Becoming a great wedding photographer is easy once you have a high-quality camera, right? Absolutely not! Here are the secrets about which no photographer talks. It took me thousands of hours and dollars to uncover them, so please enjoy responsibly! Light is the main ingredient in creating an amazing photograph, and the best wedding photographers share a deep understanding of light. They are obsessed with it. In one form or another, every photographer expressed their love for good light. Some of them analyse the main sources of light every time they enter a room. Others challenge themselves to take a mental picture at the random times of the day, so they always observe the direction and quality of light. The light principles are universal, and top artists can create masterpieces regardless of the environment or if they are familiar with the location. One of the misconceptions most couples who are getting married have is that a photographer has to know the wedding venue. The truth is that the light behaves in the same way in Toronto, Los Angeles, Beijing or Mexico City. As such, a good photographer can perform in any environment as long as she has a good understanding of light. A beautiful quality of light can make a subject or a scene look gorgeous. Just think of the photos published in the National Geographic. Few people know, but National Geographic only accepts images captured at sunrise or sunset, when the light quality is impeccable. Along the same line, a great wedding photographer can put his clients in a good light. Literally! The most important characteristic that defines the great artists is their commitment to quality. They always photograph weddings as if their life depended on it. Often such photographers take 5-9000 shots during a wedding. Still, they are so critical of their work that they only deliver about 10-15% of the shots they take. Those images are works of art. In order to push their limits and force themselves to provide quality imagery, they blog every wedding they shoot. Over time, they developed a consistent shooting style and workflow that guarantees the quality of their work. Great photographers do their own post-processing album design and are obsessed with details. They only stop when achieving perfection. Weddings are fast-paced once-in-a-lifetime events. To document a story well, a photographer needs to master the technical aspects of photography. The best craftsmen are the ones who don't even think about technicalities, but just leave their creativity to take over. The camera becomes an extension of the photographer, and they know it inside out. Many of them, in fact, always carry a camera with them. The most amazing photographers can even tell you the exposure by just looking at a scene as if their eyes become light meters. Every wedding is different, but after documenting about 100 marriages, a photographer learns how to recognize patterns. 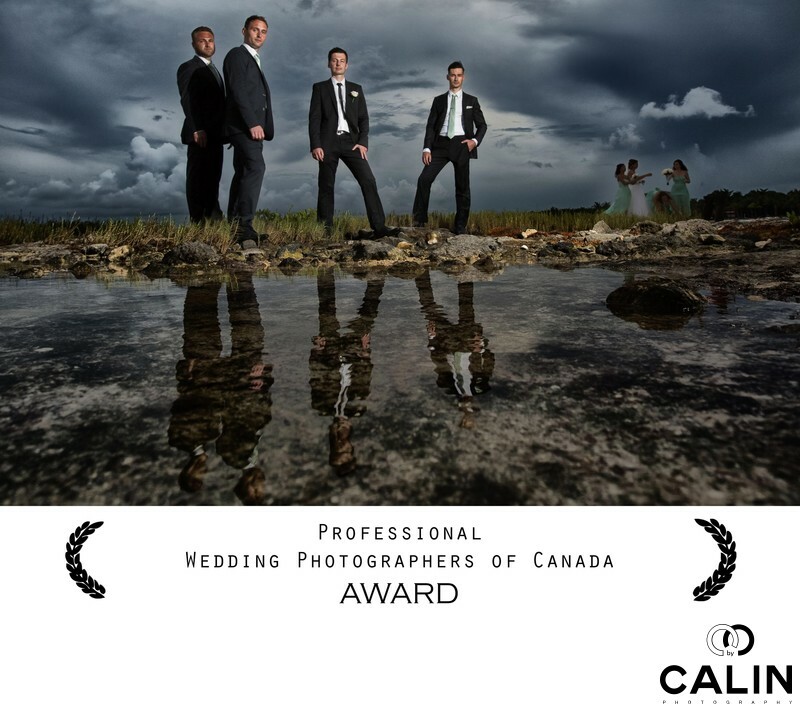 Many of the world class wedding photographers have over 20 years in the industry and they have seen any scenario possible. Experience allows a top wedding photographer to anticipate events rather than react to them so they are ready to capture candid images that novices would miss. Top wedding photographers can make their subjects look good because they understand the human body. Like the master painters, inspirational photographers studied the human body and can make their subjects look amazing. Through a few directions, a good photographer will emphasise a bride's physical qualities and hide her flaws. As my brides said it, everybody in my pictures looks like a model. Great photographers have a series of tools in their arsenal that allows them to make their brides shine brighter than ever. Having great people skills allows wedding photographers to create beautiful photos in any situation. Good photographers keep their subject engaged, so the newlyweds are relaxed in front of the camera. 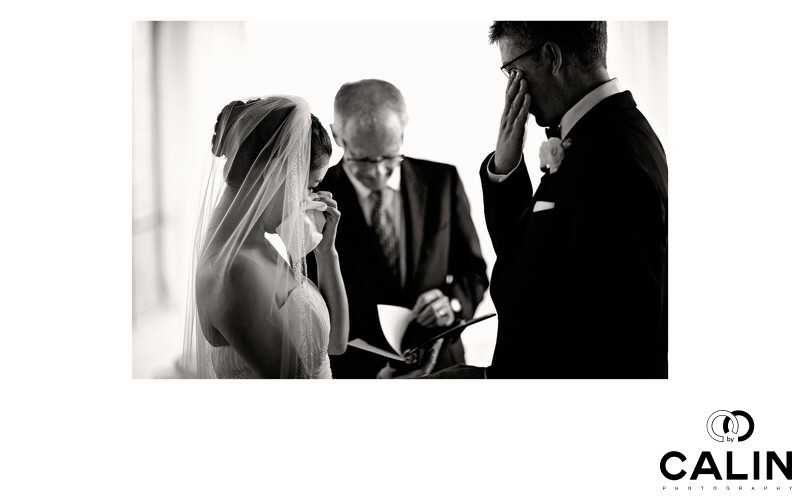 Also, the photographers earn the bride and groom's trust, so the couple opens up. That permits the photographer to capture beautiful candid images that the couple will cherish forever. Good photographers handle stress very well and appear in control regardless of the circumstances. I remember once we were supposed to have two hours with the bride and groom, but through a turn of events we ended up shooting for only 10 minutes. Although I was crying inside, the newlyweds never realized how critical the situation was, and we managed to take splendid images. Understanding the human nature and possessing great people skills allows wedding photographers to offer an extraordinary experience to their clients. That, in turn, leads to many referrals because brides also value the experience besides the pretty pictures. Top photographers studied composition and know where to place the subjects in a scene to create compelling wedding photos. While most photographers have heard of the rule of thirds, the true masters go way beyond that. Just think of Henri Cartier-Bresson whose fantastic understanding of composition helped him create world-class images while using lousy cameras by today's standards. In fact, a sublime understanding of lighting and composition are far more important than the equipment. One of my wedding photography idols, Jerry Ghionis has been awarded the fourth-place in a WPPI international competition for his wedding album where he used an iPhone to capture all the images. Good photographers practice almost every day and learn new techniques on a regular basis. We, photographers are like musicians. During the week we practice, and on the weekends we perform. Although we make difficult shots look easy, it is a result of countless hours of practice, trials and error. In photography, there is a concept named working the shot. It means that a photographer tries many different angles to improve the photo incrementally. By practising regularly before the event, on your wedding day, we can create great images in no time. World-class photographers behave like famous painters and accept only a few assignments every year. My research of over 100 famous photographers shows that they only photograph 10 to 20 weddings per year. In order to keep a fresh vision and because documenting a wedding involves a massive amount of work, many artists photograph even fewer weddings per year. They accept assignments from clients who share the artists' vision and passion for quality photography. Most great wedding photographers only document weddings. Having been a Toronto wedding photographer for a few years, I know how hard it is to make a living shooting only weddings. However, that also shows their tenacity and desire to become masters of this art. A generalist who photographs pets, babies, boudoir, product, food and weddings will never be as good as a photographer specialised in weddings. Becoming a top wedding photographer is not easy but if one masters the secrets of the greats, chances are someday one will become an inspirational photographer.